Dr. Griffin attended the University of Houston College of Optometry in Houston, Texas, and received his doctorate in Optometric studies. exam to practice this new field of Optometry. Then in 2001 the Glaucoma Specialist act was passed and he took that course. He specializes in Ocular Therapeutics in his practice but really enjoys treating and seeing children and geriatric patiences. have a boy and a girl, ages 1 year to 6 years. And you may see them on his new billboard and also on this website. children all attended and graduated from Liberty High School. Buddy and especially his four grandchildren. He very much appreciates and enjoys his patients he sees. He has a very good and loyal staff that he appreciates with the highest respect. Dr. Diane Berce started part time relief for Dr. Griffin about nine years ago. She attended Houston Lee High School in Houston, Texas. 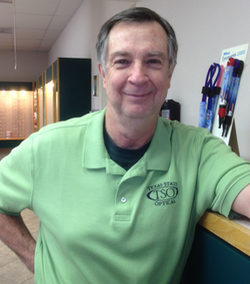 Then attended The University of Houston College of Optometry and graduated from there in 1986. She has been a very knowledgable and delightful asset to the Texas State Optical office. 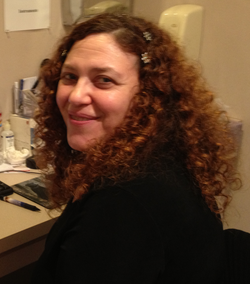 Dr. Berce is an animal lover and loves to spend time with her dogs and cats. She also loves most all kinds of music. She particularly likes to sing and participate in karaoke, with country and western her most favorite.